Developed for cats to support their daily diet. Recommended for picky eaters, or when your cat’s need is increased, such as during the end of gestation, lactation, and for growing kittens from 3 weeks of age. Contains vitamins, minerals, trace elements and amino acids in a balanced combination. Give Multicat to your cat if you suspect they aren’t getting all the necessary vitamins, minerals, trace elements and amino acids from their daily diet. 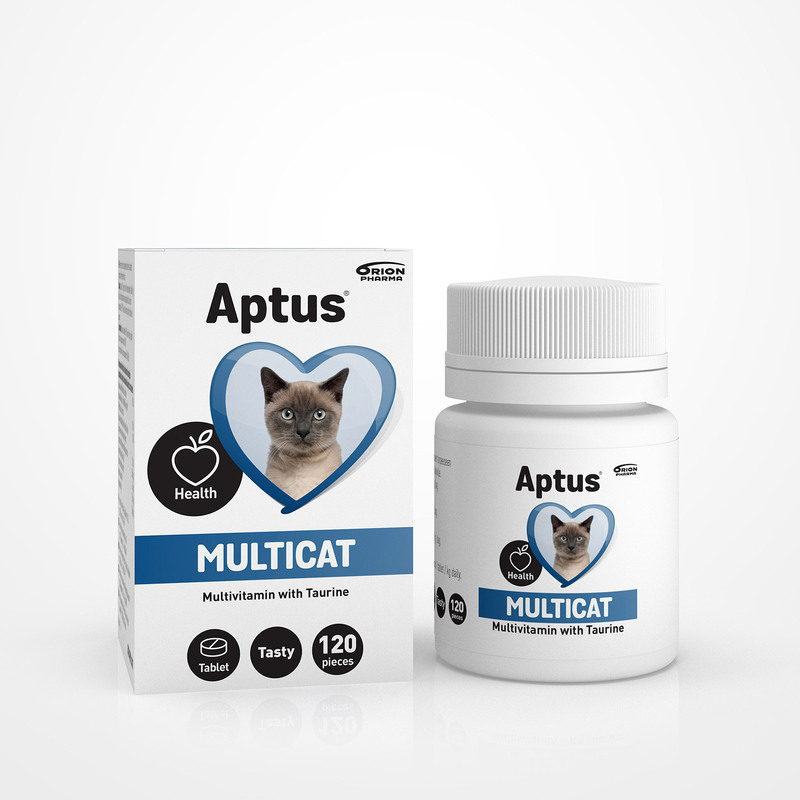 Aptus Multicat tablets are salmon flavoured and can be given directly by mouth as a treat. They can also be crumbled and mixed with food. 1 tablet per 2 kg weigh daily. In case of increased need e.g. 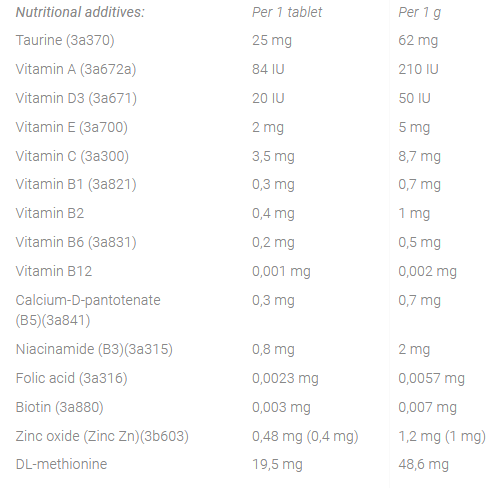 during the end of gestation, lactation, or for growing kittens from 3 weeks of age give 1 tablet per kg daily. The daily recommendation should not be exceeded since the product contains fat-soluble vitamins that are stored in the body. 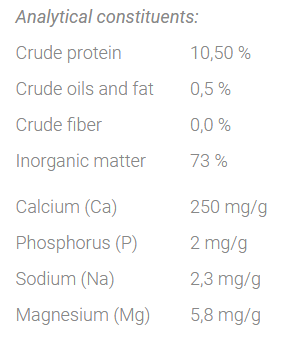 Calcium carbonate (66,7%), brewer’s yeast, gelatine (porcine), magnesium stearate (0,47%). Sometimes your cat might need daily multivitamin supplementation if they are eating inadequately. Also being on a homemade diet requires supplementation to be nutritionally complete, especially for cats eating only meat and fish. Stressed or ill cats often need vitamin and trace element supplements. 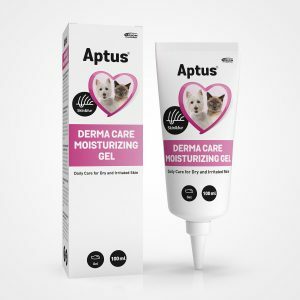 Use Multicat also in physiologically challenging situations, such as during the end of the gestation for dams and while lactation, as well as for growing kittens from 3 weeks of age. 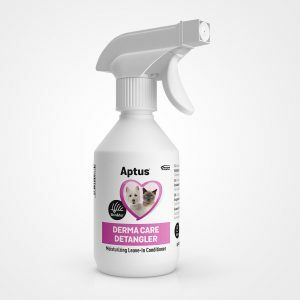 Aptus Multicat ensures your cat’s daily needs for calcium, vitamins, trace elements and vital amino acids. Caution: This product contains vitamins A, D and E which are fat-soluble and may accumulate in the body. Vitamins A, D and E in your pet’s daily nutrition should also be taken into account when giving your cat multivitamins. Contact your veterinarian if you are worried about your cat’s health.